Painted Desert Afghan & Pillow, by Dorothy Helms, Annie's Crochet Quilt & Afghan Club, 1996. Excellent condition. May smell very faintly of cigarette smoke. Pansy Circles Afghan, by Maggie Weldon, Annie's Crochet Quilt & Afghan Club, 1996. Very good condition. Pastel Puffs, designed by Jill Armitage, Annie's Crochet Quilt & Afghan Club, 1996. Excellent condition. Patchwork Quilt, by Lucia Karge, Annie's Crochet Quilt & Afghan Club, 1993. Excellent condition. Patchwork Sampler Quilt, designed by Martha Brooks Stein, Annie's Crochet Quilt & Afghan Club, 1993. Like new. Patriotic Hearts, by Linda Everson, Annie's Crochet Quilt & Afghan Club, 1998. Excellent condition. 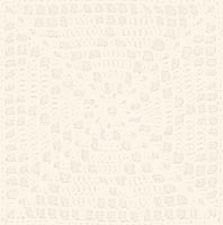 Patterned Cable Afghan, by Ann Parnell, Annie's Crochet Quilt & Afghan Club, 1993. Very good condition. Peach Blossoms, designed by Tammy Hildebrand, Annie's Crochet Quilt & Afghan Club, 1998. Excellent condition. Perfectly Awesome Afghan, by Deborah Levy- Hamburg, Annie's Crochet Quilt & Afghan Club, 1996. Excellent condition. Persian Mosque Afghan, by Julene Watson, Annie's Crochet Quilt & Afghan Club, 1996. Very good condition, but may smell of cigarette smoke and fabric softener sheet. Peruvian Diamonds, by Pete Hostens, Annie's Crochet Quilt & Afghan Club, 1995. Very good condition. 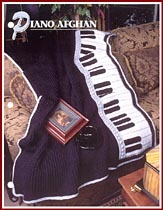 Piano Afghan, designed by Michelle Crean, Annie's Crochet Quilt & Afghan Club, 1997. Pillow Pocket Afghan, designed by Debora Gardner, Annie's Crochet Quilt & Afghan Club, 1995. Very good condition. Pineapple Lace, designed by Carol Alexander, Annie's Crochet Quilt & Afghan Club, 1998. Excellent condition. Pineapples & Lace, designed by Betty Dowler and Dorthea Shappie, Annie's Crochet Quilt & Afghan Club, 1996. Excellent condition. Pink Scallops, designed by Dorris Brooks, Annie's Crochet Quilt & Afghan Club, 1997. Excellent condition. Pinstripe Afghan On the Double, designed by Kim Wiltfang, Annie's Crochet Quilt & Afghan Club, 2001. Excellent condition. Pinwheel, designed by Joyce Messenger, Annie's Crochet Quilt & Afghan Club, 2000. Excellent condition. Pinwheel Afghan, by Mickie Akins, Annie's Crochet Quilt & Afghan Club, 1993. Excellent condition. Pinwheel Loop n' Lace, by Ruby Gates, Annie's Crochet Quilt & Afghan Club, 1997. Excellent condition. Playful Pinwheels, by Kathleen Garen, Annie's Crochet Quilt & Afghan Club, 1995. Excellent condition. Playful Plaid Afghan, designed by Martha Brooks Stein, Annie's Crochet Quilt & Afghan Club, 2000. Excellent condition. Plum Stripe Afghan, designed by Carolyn Christmas, Annie's Crochet Quilt & Afghan Club, 2000. Excellent condition. Poinsettia Strips, designed by Sandra Smith; Annie's Crochet Quilt & Afghan Club, 2000. Points of Interest, by Pete Hostens, Annie's Crochet Quilt & Afghan Club, 1994. Excellent condition. Points of Light, by Felicia Pancer, Annie's Crochet Quilt & Afghan Club, 1998. Excellent condition. Popcorn Strip Afghan, by Dorris Brooks, Annie's Crochet Quilt & Afghan Club, 1999. Excellent condition. Pot o' Flowers Afghan, by Bonnie Fleming, Annie's Crochet Quilt & Afghan Club, 1994. Worked in afghan stitch (Tunisian crochet). Excellent condition. Poster Paints Afghan, by Kathleen Garen, Annie's Crochet Quilt & Afghan Club, 1995. Very good condition. Post Stitch Squares, designed by Eleanor Albano- Miles, Annie's Crochet Quilt & Afghan Club, 1999. Excellent condition. Praying Hands, designed by Susie Spier Maxfield, Annie's Crochet Quilt & Afghan Club, 2000. Excellent condition. Pressed Flowers, by Mona Cade, Annie's Crochet Quilt & Afghan Club, 1996. Very good condition.